This small marsupial is found only in three isolated areas of south east Australia and there is only believed to be around 200 alive today, leading to the Mountain pygmy possum being classed as endangered. The Mountain pygmy possum was unknown until 1966 when a fossil of the species was discovered, the three areas where the Mountain pygmy possum can be found are in the Kosciuszko National Park, Mt. Bogong and Mt. Buller. Living in the Australian Alps where the weather is generally cold and wet with constant snow showers the Mountain pygmy possum can be found in most mountainous areas and specifically boulder-fields. Due to global warming the Mountain pygmy possum has been pushed further up into the harsh environment of the mountain rages and is currently losing more and more land due to the continuous expanse of downhill skiing resorts. The Mountain pygmy possum is the biggest of all pygmy possums and interestingly has the longest life expectancy as well with females reaching the age of 12 years in some cases. These small marsupials can be instantly recognized by their brown and cream fur, pouch and bald tails, somewhat resembling a rodent. In the mating season males can be identified by the intensity of their color which becomes a more orange coloration. 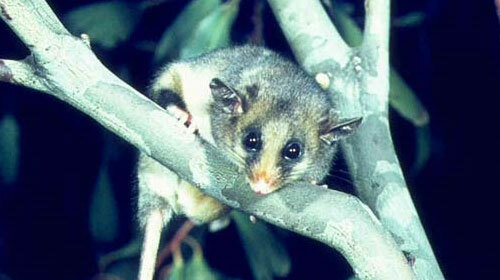 The diet of the Mountain pygmy possum changes with the seasons. Throughout the summer the Mountain pygmy possum will feed on insects and creatures such as moths, spiders and caterpillars and stores excess fat for the winter months along with seeds and berries. During the winter the Mountain pygmy possum spends most of its time hibernating, living off of its fat reserves and occasionally feeding on its store of seeds and berries. The lifestyle between sexes is very different with males generally wondering around in a nomadic fashion whereas the females spend their time looking after young in communal nesting sites. The two sexes usually only come together during the bre4eding season which takes place throughout spring and summer. After successful mating the females will usually give birth to a litter of four and in normal circumstances this only occurs once a year. A decent overview, but not 100% accurate. 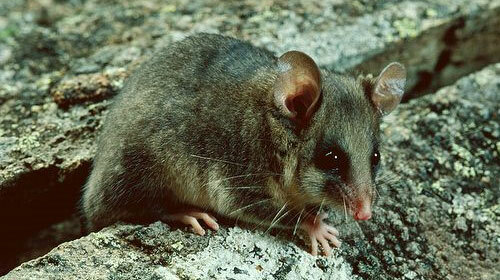 Recent estimates put the overall population size at closer to 2000 possums, rather than 200 as you report. Also, the central population is not just limited to Mt. Bogong.. the species also occurs throughout the Mt. Higginbotham and Bogong High Plains area. And a third point: snow showers are not constant in the Australian alps. Snowfall is very rare in the warmer months.